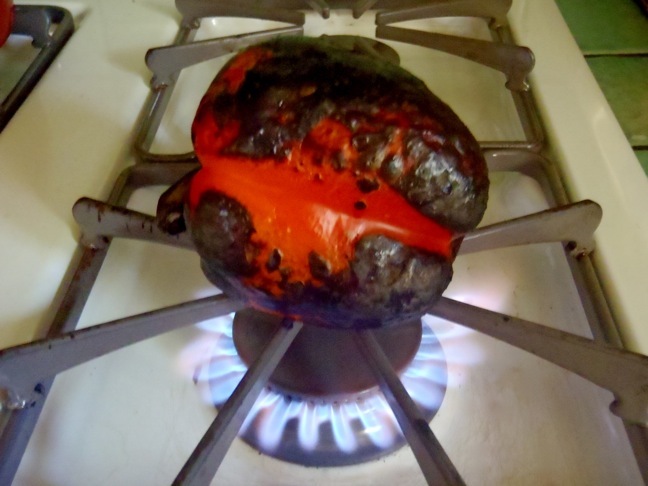 I absolutely love roasted peppers! Don't you? I love them year round, but I think they add particularly well to a summer BBQ. On your burger, as a side, made into an hors d'oeuvres, and so on. 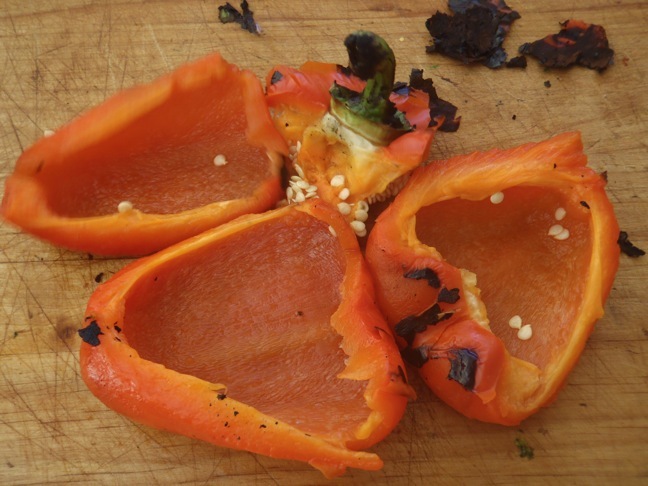 No need to wash the peppers, as you'll ultimately be removing the skin. You can do this on the BBQ grill, or on your stove burner. Whichever one you choose, you'll need the fire to be on high. 1. Place the pepper directly on top of the flame and let it cook for a few minutes. You'll hear it crackle as the skin begins to char. 2. Use metal kitchen tongs to turn the pepper as each side chars. It should be mostly, but not completely black. 3. 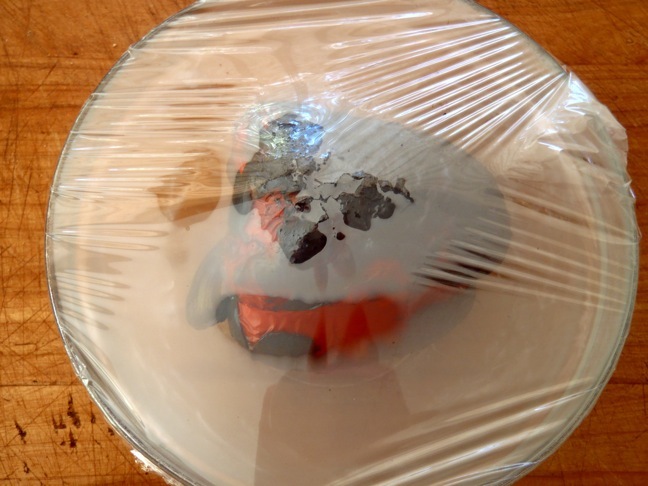 Place the pepper in a bowl and cover it tightly with plastic wrap. Let the pepper steam this way for about 5 minutes. Then remove the plastic and let the pepper become cool enough to touch. 4. 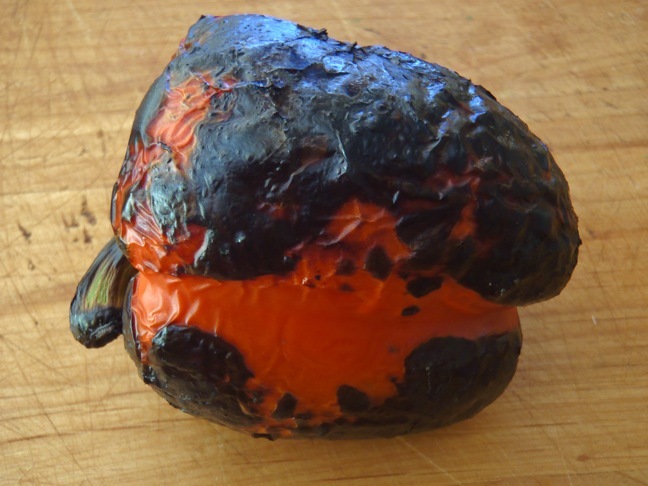 Gently use your hands to peel the blackened skin off the pepper. It should come off with ease this way, but you can also use the dull side of a paring knife to help. 5. 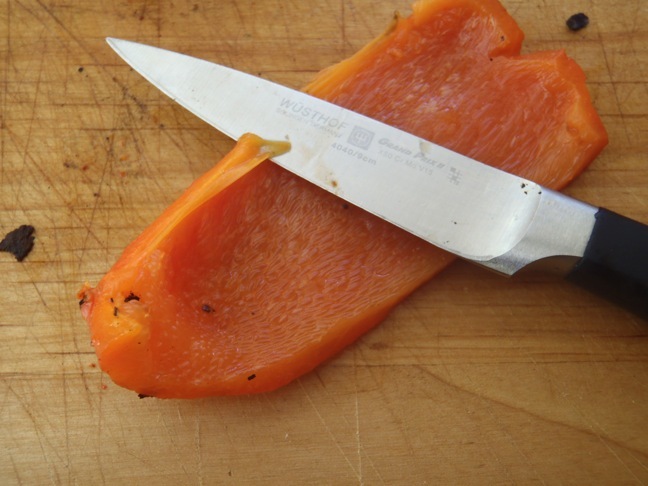 Use your hands or the paring knife to break the pepper into a few large pieces. 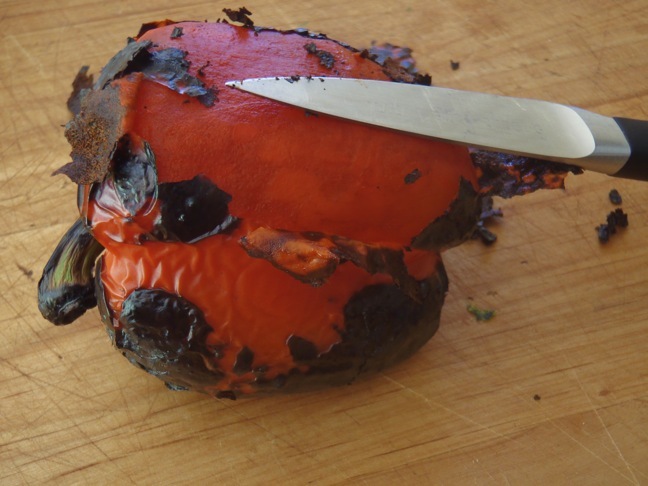 Then use the paring knife on the inside of the pepper to remove any white membranes and seeds. Flip the pieces over to remove any excess skin, if necessary. 6. 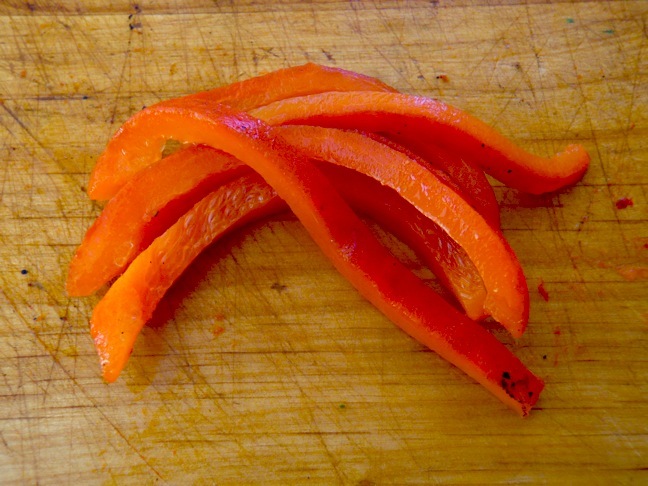 Now you can cut your peppers any way you like!